Most of these suggestions require a little DIY spirit and elbow grease, but they're better than tossing the laptop in the trash. You'll save money, too, by repurposing a laptop or its parts, making your investment go farther. If the main computer parts (processor, hard drive, etc.) are fine but just the LCD, hinge, keyboard, or other external parts are broken, you can take the guts out of the laptop, put it into a standard desktop keyboard, and hook that keyboard to a monitor. The MacBook Air Project shows how you can do this with a MacBook Air, but the concept is the same for any laptop: In the end, your laptop becomes a desktop PC, except its case, isn't a tower or a cube but your keyboard. Additional monitors can boost your productivity, so if your laptop screen still works but the rest of the laptop doesn't (or you have an old laptop with a perfectly good screen), use it as another monitor for your other computer. Instructables user augustoerico provides step-by-step directions for using the LCD as a second monitor. It involves detaching the LCD panel and attaching it to a controller board, which you can buy or build yourself if you're handy. If the hard drive still works but the laptop is otherwise unusable, take the drive out of the laptop and use it as an external hard drive. It's a good thing to try even if you're not sure if the laptop drive still functions. There are lots of external hard drive enclosures that fit the typical 2.5" laptop drive; the Vantec NexStar hard drive enclosures are likable because they're sturdy, well designed, and affordable. Just make sure you know what kind of connection (SATA, IDE, etc.) your laptop drive needs and find the case that matches. If worse comes to worst. you can always just sell the parts of your laptop (the memory, screen, power adapter, and even the motherboard) or the laptop itself with a note that it's broken and for parts only. You might be surprised at how many people need and buy old computer parts. Just remember to wipe the hard drive if you can or remove the hard drive and destroy it. 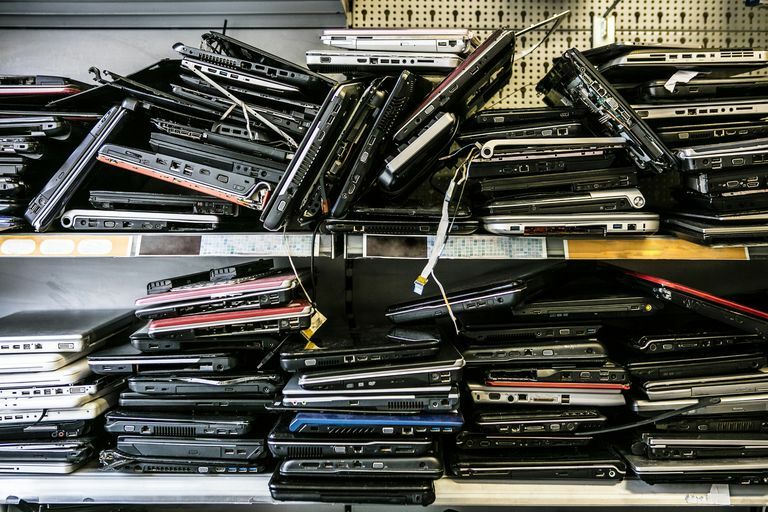 If worse comes to worst, you should be able to donate or recycle the old laptop (and other electronics) and get rid of it with a clear conscience. What Exactly Is a Lightning Connector? Do You Need One?